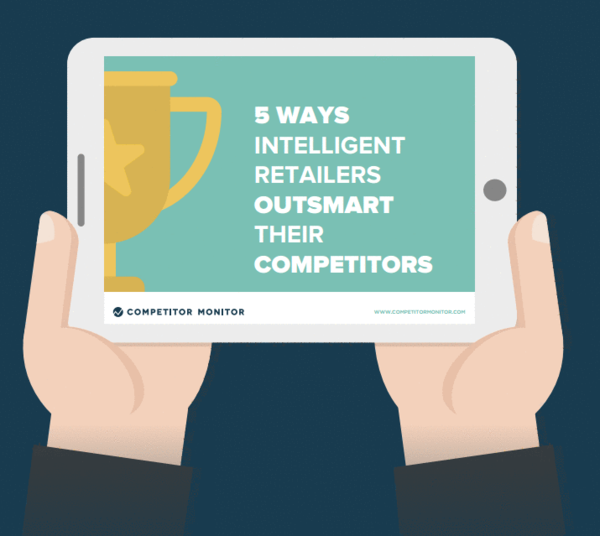 E-Book - 5 Ways Intelligent Retailers Outsmart Their Competitors. At Competitor Monitor, we track over 20 million products around the clock on 15,000 websites for over 100 clients across the globe. Through our extensive experience, we continue to help hundreds of online retailers turn complex competitor pricing information into actionable recommendations for competitive advantage. In this eBook, we share five core principles employed by intelligent retailers to gain, sustain and increase their competitive advantage. This interactive guide also provides twenty-two key action points to help improve your online competitiveness and profitability.